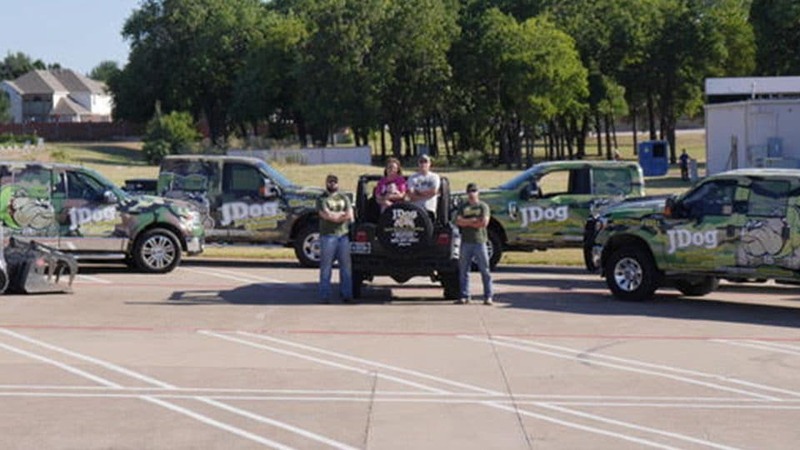 We’re JDog Junk Removal and Hauling, the trusted team of Veterans, Veteran and Military family members who are eager to haul away your junk in Roanoke/Flower Mound, Texas. In addition to serving you with the Military’s values of Respect, Integrity, and Trust, we also take care of the environment by donating and recycling 60% to 80% of what we haul. Whether you are clearing an estate, renovating an office building, or tackling a home improvement project, we are the right team to tackle your jobs both big and small. If you need a trustworthy, locally run company to handle your junk, JDog Junk Removal & Hauling is just the one you’re looking for. Call us today at 844-GET-JDOG.